On March 5, 2010, while filming a snowmobiling segment in the Sierra Nevada back-country, Grant Korgan burst-fractured his L1 vertebrae and was told he would never walk again. Despite his prognosis, Grant Korgan and his wife Shawna, focused on the goal of 120% recovery. 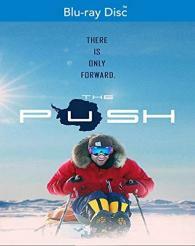 On January 17, 2012, along with two seasoned explorers, Grant accomplished the impossible and became the first spinal cord injured athlete to literally PUSH himself ~nearly 100 miles (the final degree of latitude) to the most inhospitable place on the planet - the bottom of the globe, the geographic South Pole.